Based in Delhi, we have secured a prominent position in the global markets for manufacturing, supplying and exporting the totally-rigid Semi Automatic Bottle Washing Machines, which strictly complies with international quality standards. Our experienced and determined team maintains stringent quality controls from the procurement of raw materials to the final packaging of these Machines. Obtain them from us in variety of specifications, at nominal prices. Approx Output : 40 - 45 Bottles / min. 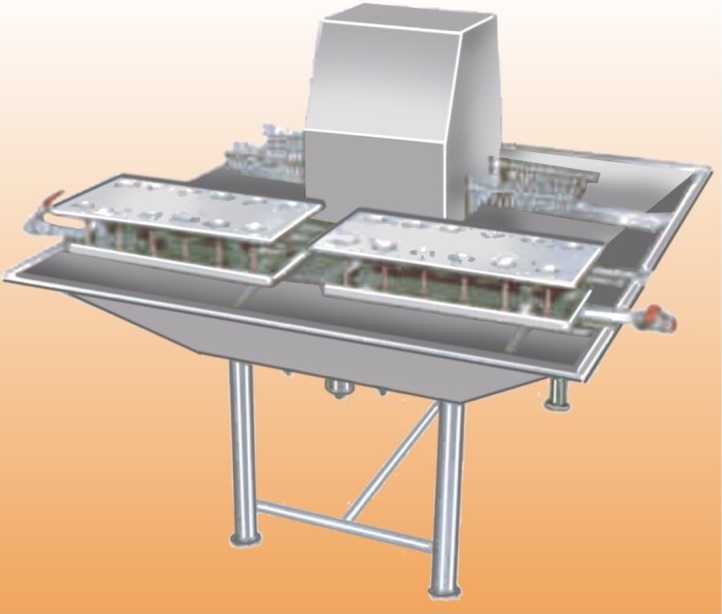 Established in the year early 80's, we “Jagat Industries” are a reliable firm counted among the prominent Designer & Manufacturers of Semi Automatic, Automatic high speed bottling lines & packaging machines(consisting of Rinsing, Filling, Sealing, Monoblocks, Combiblocks, Labelling, Casepackers, Conveying systems etc. © 2017 JAGAT INDUSTRIES. all right and reserved.